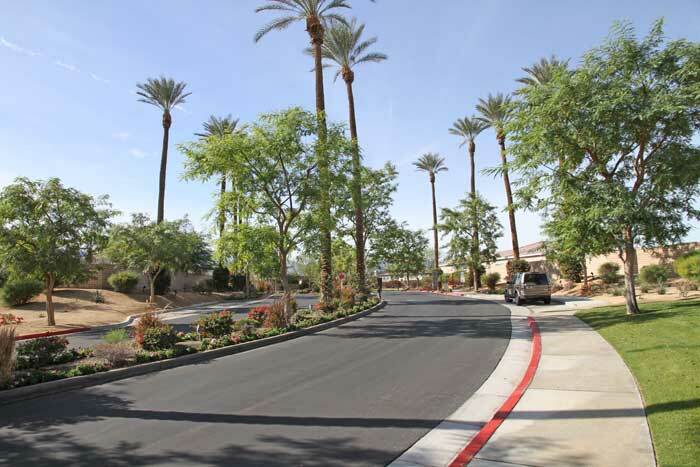 The gated community of Esplanade in North La Quinta includes two developments; Mosaic and Tapestry homes. As the Esplanade name suggests, an expansive esplanade or park runs through the center of the Esplanade community. Esplanade floor plans range from 2,112 to over 3,000 square feet, with some offering detached guest Casitas. All Esplanade homes are single level homes. 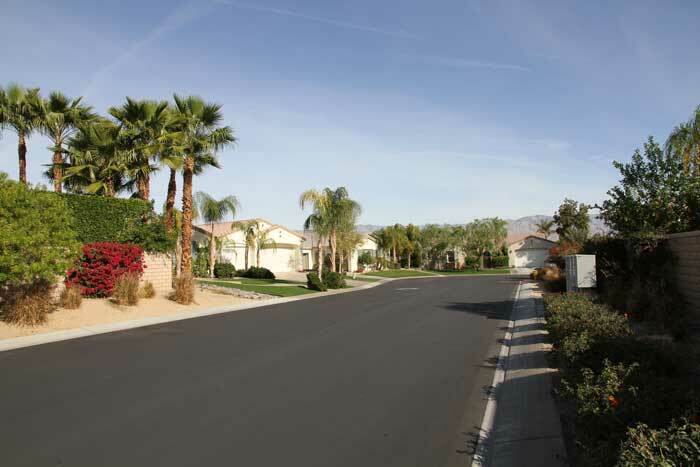 Esplanade homes were developed from 2003 to '06 by Lennar and by Ponderosa Homes. 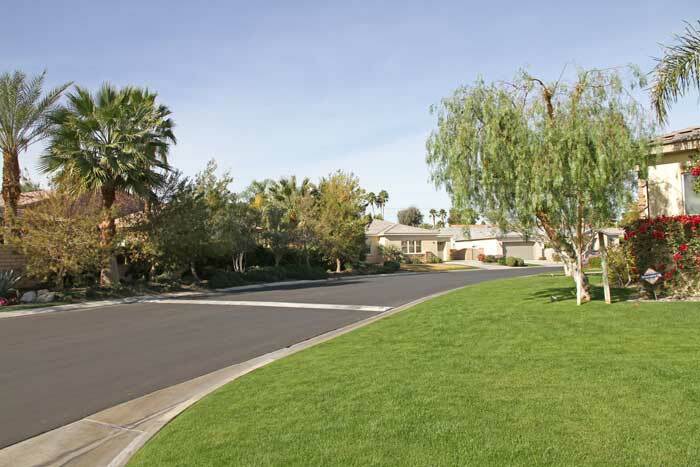 Esplanade is adjacent to Bermuda Dunes Country Club and public golf at Heritage Palms Country Club. Additional public golf is available at nearby Indian Springs Country Club. Residents of Esplanade have access to nearby shopping, restaurants and more at the intersection of Jefferson and Fred Waring Drive. 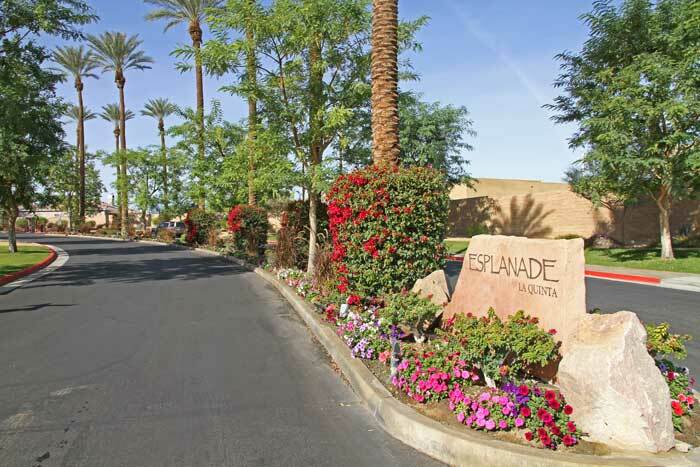 Low monthly HOA dues are another feature that attracts many homebuyers to Esplanade.